When I first started spinning Tree of Mystery, I thought it sounded vaguely familiar, like something that I should be able to place. After about the third spin, another band popped into my head: Ancient Astronauts, a band that I got turned onto about a year and a half ago. I went searching through my music, played their album We Are to Answer, and sure enough, it was a sonic step-brother. And then the truth hit me, Kabanjak, the musician behind Tree of Mystery, is one half of the duo that make up Ancient Astronauts! 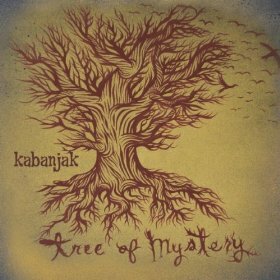 While not having completely split from his fellow musician Dogu, Kabanjak's release Tree of Mystery (whose cover I really dig, check it below) is his first flying solo. 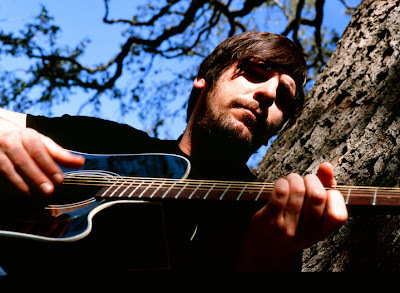 It carries a lot of the characteristics of his work as an Ancient Astronaut, with melodies that alternately feel as if they're soaring in the sky and then swirling in a Middle Eastern desert. Every so often, scattered through his musical meditations, come rhymes laid down by guest vocalists. At some points it feels like you're meditating in the heavens, and others you're immersed right here in Earth, with no clear horizon distinguishing the two. Visit his label ESL Music and become his friend on MySpace and Facebook.